Day two of the World University Games began with the 20km walk. Australian athletes Dane Bird-Smith (QLD) and Rhydian Cowley (VIC) were our competitors. 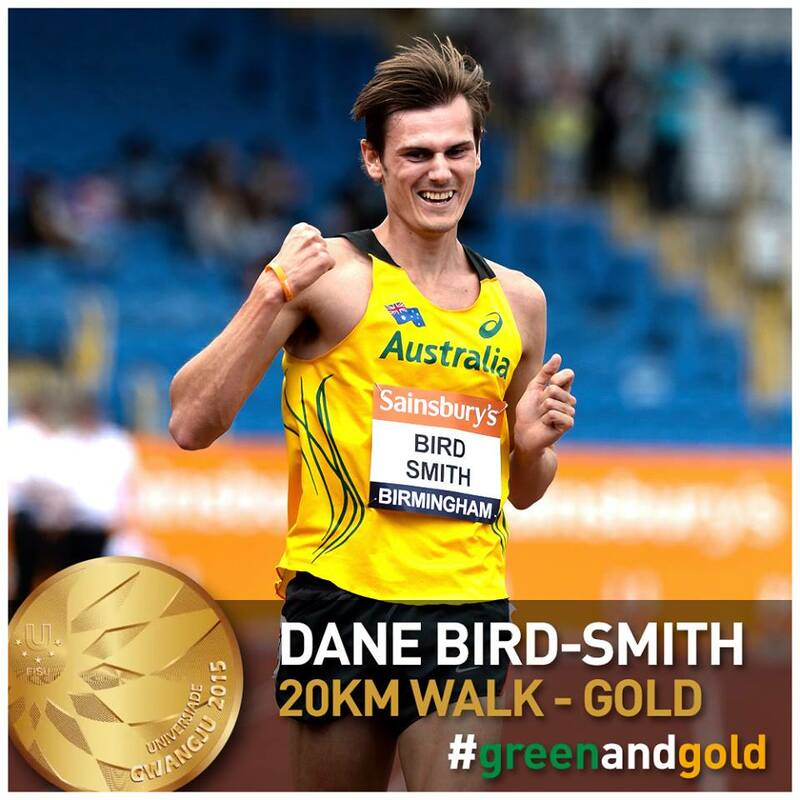 With wet and muddy conditions facing the athletes, it turned out to be a day of only Gold for Dane. He had an impressive day out on the road, taking first position with a time of 1:21.30, edging out second place by .03 of a second! Rhydian finished in 13th place with a time of 1:28.12. David Brock (VIC) and Kyle Cranston (NSW), both stepped onto the track for their second day of competition in the decathlon. With the final five events ahead of them, both athletes looked to continue to perform strongly against their competition. David – 3rd with a time of 15.97 seconds. Kyle – 5th with a time of 15.32 seconds. At the conclusion of the competition, our two Australians finished back to back. David finished in 7th position with 7337 points, ahead of Kyle who finished in 8th place with a total of 7295 points. Ben Jaworski (NSW) and Andrew McCabe (QLD) took to the start line for the first time of the competiiton in the heats of the mens 200m. Ben was in the first heat and placed 4th with a time of 21.09 seconds. Andrew finished 6th in his heat with a time of 21.73. Ben qualified on time to make it through to the semi finals, whilst Andrew will not progress. Ashleigh Whittaker (VIC) continues to make things look easy, with a second place in her 200m heat in the morning. Her time of 24.10 qualifies her for the next round. Later on in the day, she stepped up again to the start line for the semi-final of the 100m. Her second place and time of 11.58, also means that she qualified for the final which was took place two hours later. With two runs already in her legs for the day, Ash once again took to the start line for the final of the 100m. She placed 6th in the final with a time of 11.64 seconds. This performance in the 100m has been the best by an Australian at the World University Games since Shirley Strickland. Angus Armstrong (NSW) cleared 4.80m in the pole vault and unfortunately won’t make it through to the next round. Michelle Jenneke (NSW) and Abbie Taddeo (NSW) both competed in the 100m hurdles. Michelle came second in her heat, qualifying her for the next round with a time of 13.29. Abbie also qualified with he 3rd place run with a time of 13.52 seconds. 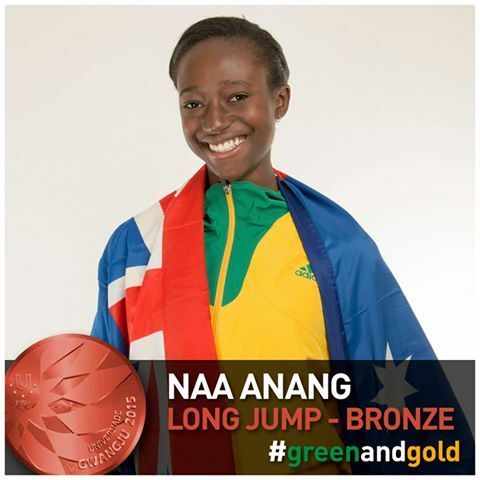 Queensland University of Technology athlete Naa Anang (QLD) claimed the second Australian medal of the games, with a BRONZE medal in the women’s Long Jump. Naa jumped a personal best in the final, jumping 6.55m. Congratulations Naa! Tom Gamble (QLD) and Jin Su Jung (NSW) had the semi-final of the 100m. Both athletes ran exactly the same time, crossing the line in 10.28. Jin was in the first heat and qualified on his 4th placing, where as Tom came 5th and didn’t progress to the final, although he did run a personal best. Like Ashleigh Whittaker, Jin now had to backup his run a few hours later in the final. He ended up finishing 7th with a time of 10.33, capping off an incredible performance. Bond University athlete Alex Beck (QLD) ran in the 3rd semi-final, finishing in 2nd place, with a personal best time of 46.05 seconds. Alex now progresses to the final. Taryn Gollshewsky (QLD) had the final of the Women’s Discus Throw. Stepping into the ring against some of the best in the world, she threw a furthest distance of 53.91m. Which placed her in 9th position overall. 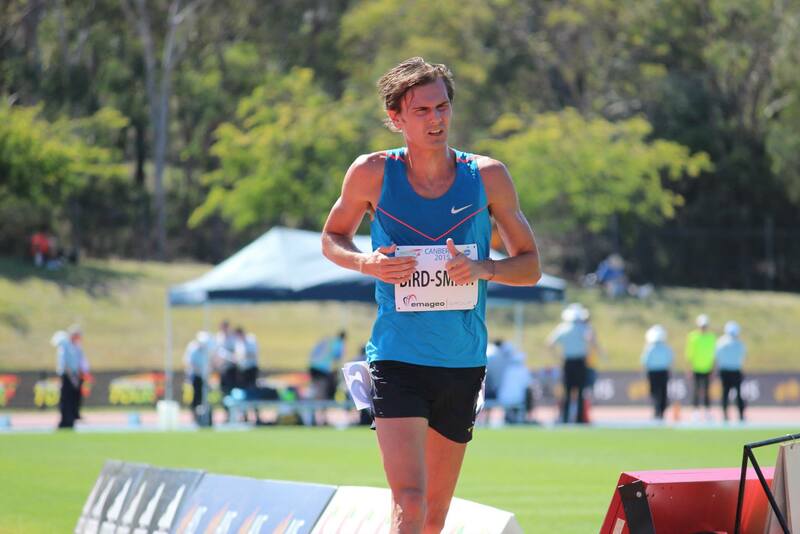 Watch the Albie Thomas Mile live thanks to Athletics NSW.